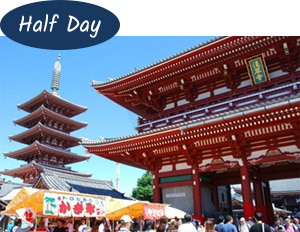 Tokyo tours - explore the Japanese capital’s ancient and modern sites. Today’s Tokyo is very modernised displaying the latest in technology and gleaming skyscrapers. With a population of over 13 million people, the atmosphere of Tokyo can be overwhelming when you first arrive, but our Tokyo tours will allow you to navigate the city and see the sights as soon as you arrive. When you look carefully, you will realise that there are many things co-existing side by side – both traditional and modern. It’s a good mix of city and nature, old meets new. With our Tokyo day tours, explore the attractions of the Japanese capital’s ancient and modern sites. 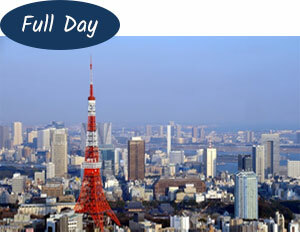 Add some of the most famous sights of Tokyo into your morning travel plan and have the afternoon free to explore on your own. Visit Meiji Shrine, the East Gardens of the Imperial Palace and Sensoji Temple with a local English-speaking guide on this sightseeing bus tour of Tokyo. 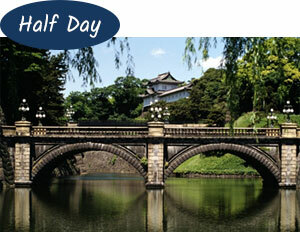 Enjoy Japanese culture, peaceful parklands and the atmosphere of historical Tokyo. This is a perfect tour as an introduction to Tokyo for first time visitors. 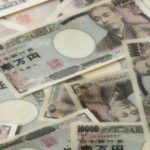 If you are arriving in Tokyo in the morning, why not get your sightseeing underway with an afternoon tour and explore Tokyo more efficiently. The tour begins at the Seaside Top observation deck with a panoramic view of Tokyo, then visit the Sakashita-mon Gate of the Imperial Palace, Sensoji Temple and enjoy the Sumida River Cruise. An ideal introduction to Tokyo for a first time visitor. 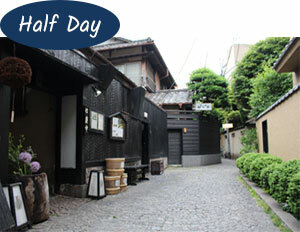 Wander the narrow alleys and the old stone paths of the geisha district in Kagurazaka and discover a new face of Tokyo. Kagurazaka is one of the historic towns of Tokyo, where tradition intertwines with modernity. Glimpse its history from the traditional buildings and feel its atmosphere. Kagurazaka was once famous as an entertainment quarter. If you are lucky, you might see a Geisha go to work in the evening! Visit some of the most popular sightseeing spots in Tokyo: Tokyo Tower, Imperial Palace Plaza, Sensoji Temple and the Sumida River Cruise. 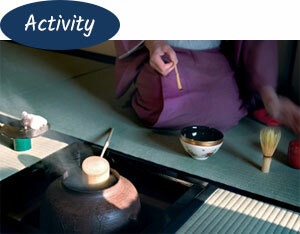 You can also experience an authentic Japanese tea ceremony and learn how to enjoy Japanese green tea. A real cultural experience. 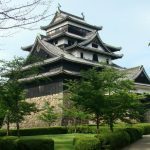 This tour is an ideal introduction to the mega-city of Tokyo taking the worry out of your exploration in Japan. 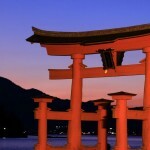 Japan’s most popular and not to be missed spots, Mt Fuji and Hakone. 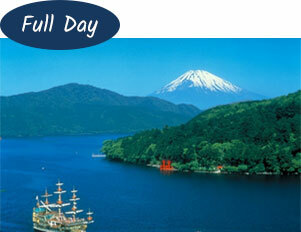 The tour includes a Lake Ashi Cruise and a visit to Owakudani Boiling Valley, all in one day! One of the best excursions from Tokyo you could ask for. After experiencing the ultra modern city of Tokyo, you will relish the beauty of nature with the majestic Mt Fuji and Hakone. 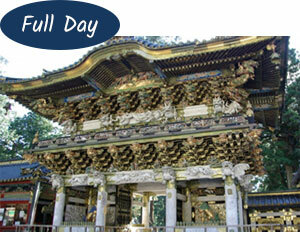 Admire the majestic architectural structures of Nikko. The intricately decorated Nikko Toshogu Shrine is a UNESCO World Heritage site and is dedicated to Tokugawa Ieyasu, the founder of the Tokugawa Shogunate, who is enshrined there. Find the famous three animal carvings (sleeping cat, three monkeys and imagined elephant)! Then enjoy beauty of nature, Lake Chuzenji and Kegon Falls in Nikko National Park. Watch a live sumo wrestling tournament, the national sport of Japan. 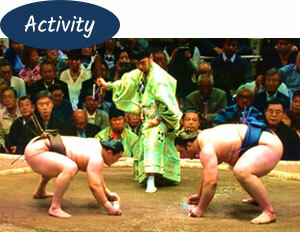 Sumo has a history spanning many centuries and is an important Japanese cultural tradition. It originated as a performance to entertain the Shinto deities in ancient times. Many ancient traditions have been preserved in sumo, and even today the sport includes many ritual elements such as the use of salt purification. See the inherited traditions and feel the power and sprit of the wrestlers! If you love sushi and want to learn how to make it, this is the tour for you. A professional sushi chef will instruct you as to how to make sushi the authentic way. 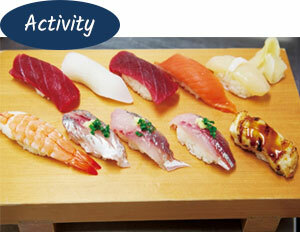 You can experience hand-shaping and rolling sushi, then enjoy your own art work for lunch. You can also enjoy the lively shops around the outer area of the Tsukiji Fish Market. The Japanese tea ceremony is an artistic pastime, a unique Japanese culture with a history of over a thousand years. Learn more about the ritual of the Japanese tea ceremony, see its performance and how to drink tea. The whole process is not just about the tea itself, but more about the preparation and the spiritual movements. Have a unique cultural experience and enjoy a quiet and peaceful moment while drinking ‘matcha’. Enjoy an incredible Robot Show at the Robot Restaurant, a new type of entertainment facility in Tokyo’s Kabukicho nightlife district in Shinjuku. See the action-packed robot battles, hurtling robots with bright lights and big sounds and enchanted dances by professional dancers. Your senses will be intoxicated by an extraordinary fun-filled atmosphere!